The Afghani magician produced a brilliant spell to help Afghanistan defeat Bangladesh by one run in the nail-biting game against Bangladesh and complete a series whitewash in the third Twenty20 international on Thursday. 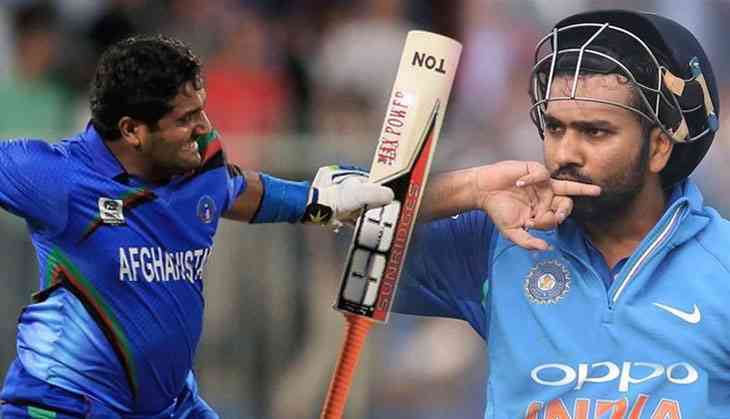 In this nail-biting match Afghanistan batsman Mohammad Shahzad surpasses JP Duminy, Indian batsman Rohit Sharma, Pakistan former skipper Shoaib Malik and former SriLankan Batsman Tillakaratne Dilshan to become the fourth highest run-scorer in men's T20Is game. Indian skipper Virat Kohli is at number 2 with 912 points after Australian batsman Steve Smith with 929 points who is at the top in ICC Test Rankings. In ODI's Virat is at the top with 909 points ahead of former South African batsman AB De Villiers' with the points 844 points. As reported in Times of India,"Jitna lamba chakka woh (Kohli) maarte hain, main unse zyadaa maar saktaa hoon, zaroorat kya hain unki tarah itna diet karne ki (I can hit bigger sixes than Kohli so why do I need to follow his diet? )," says the stumper, whose failed attempts at weight-loss had resulted in a one-year doping ban last year.